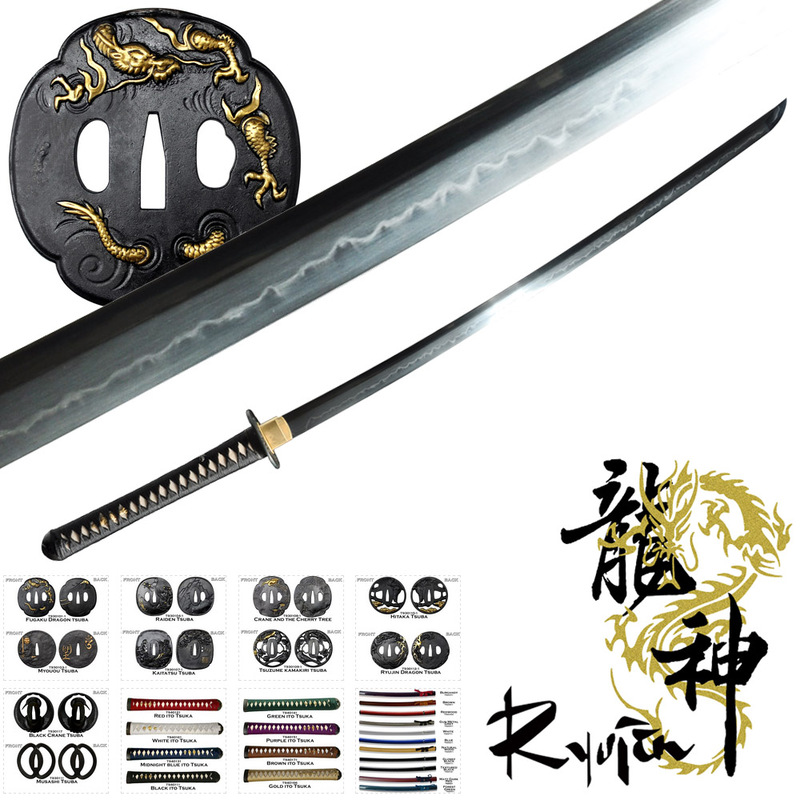 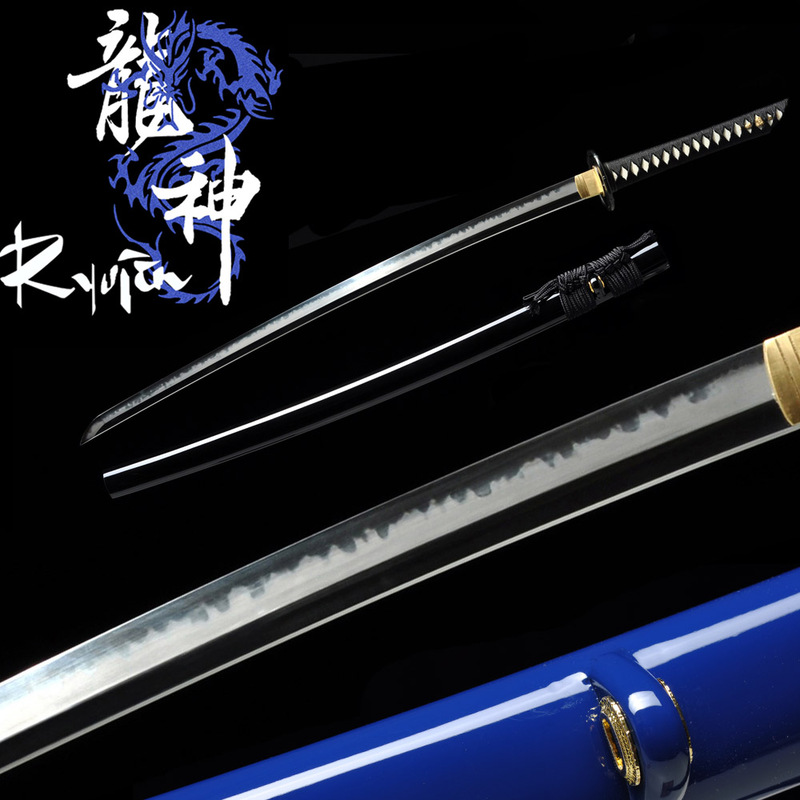 The tried and proven, T10 Tool Steel blades with real hamon and full customization options from Ryujin. 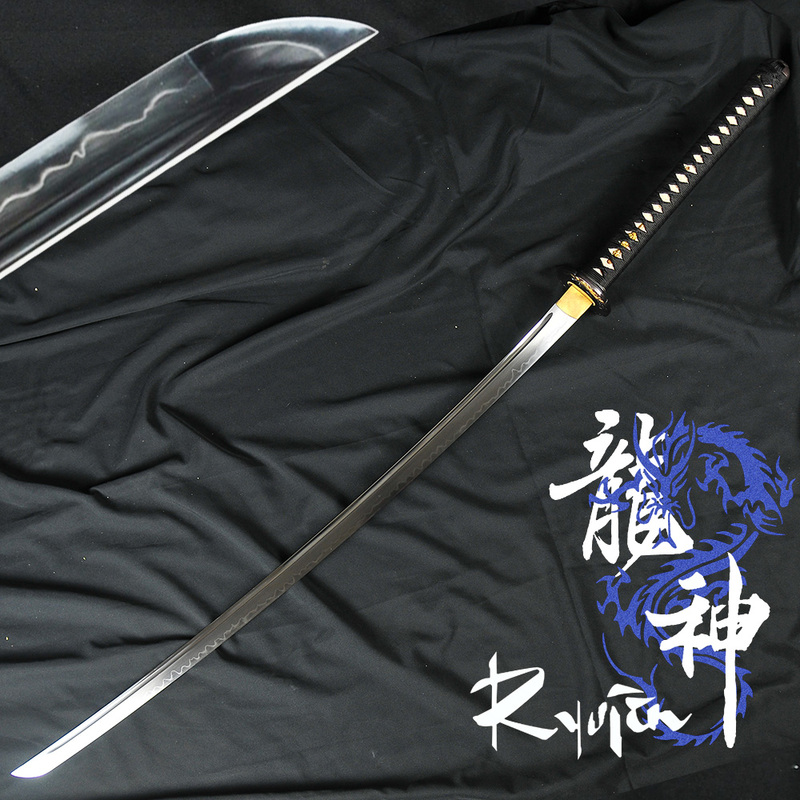 IN STOCK Solid bodied blade/no-hi Version. 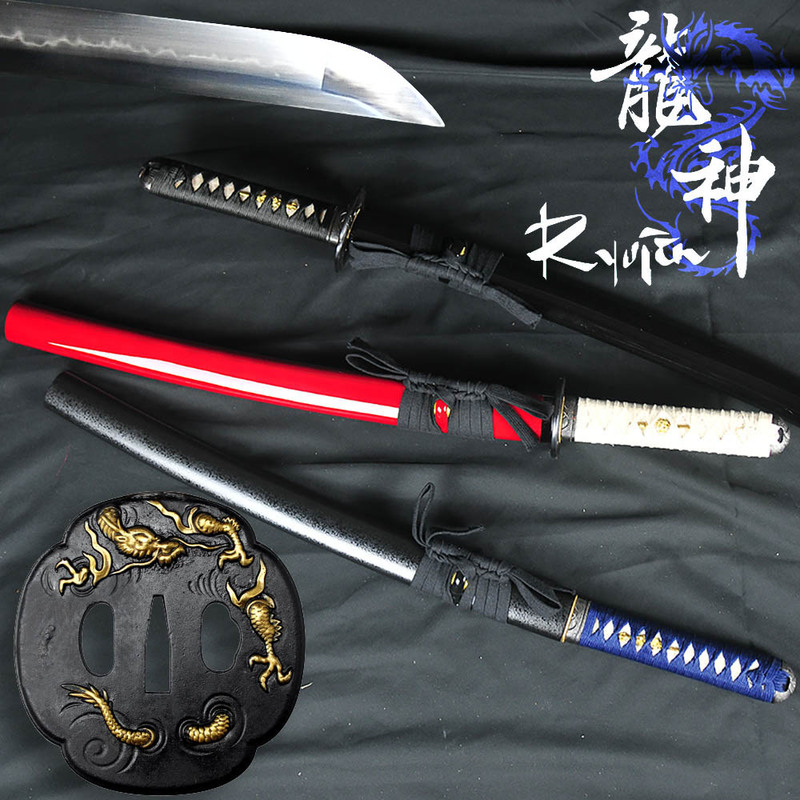 Select and Customize your own style - Any Tsuba, Any Handle and Any Saya Color - One Low Price, No Hidden Costs - Ships within 1 week!! 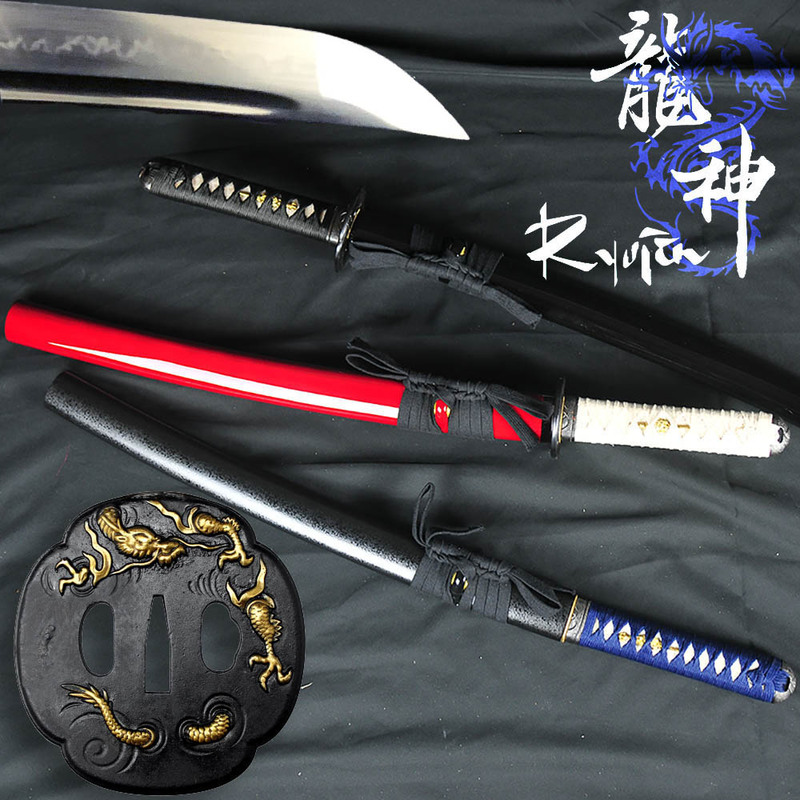 Select and Customize your own style - Any Tsuba, Any Handle and Saya Color - One Low Price, No Hidden Costs - Ships within 1 week!! 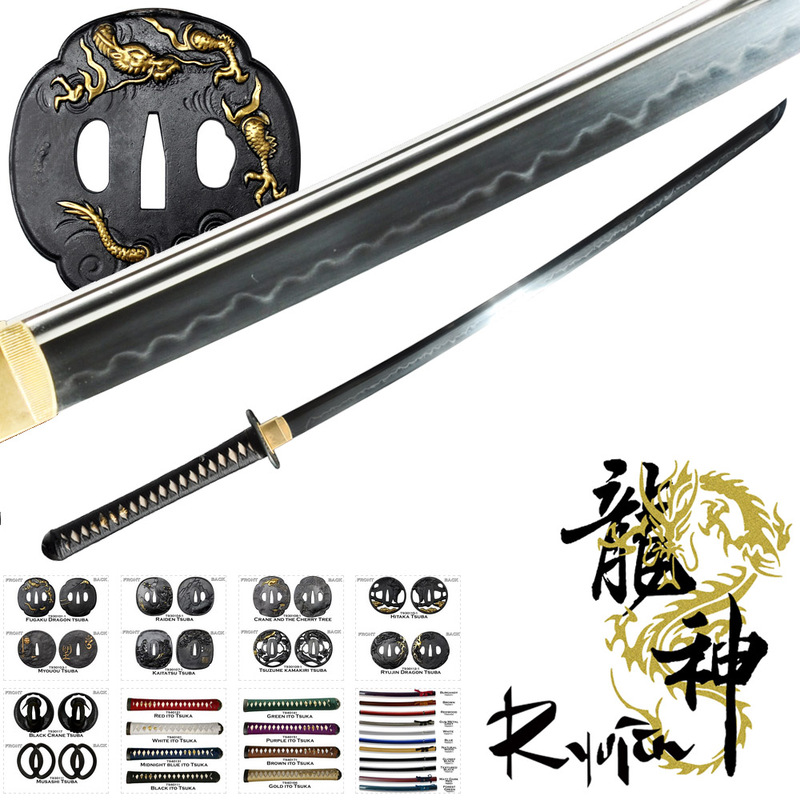 Select and Customize your own style - Any Tsuba, Any Handle and Any Saya Color - One Low Price, No Hidden Costs - Ships within 1 week!! 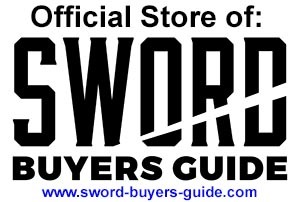 SPECIAL BONUS OFFER - receive either a free cleaning kit or free large sized sword case with every purchase.